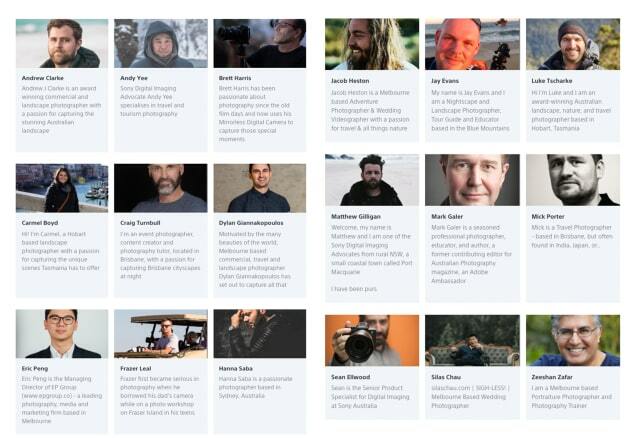 Sony have named 16 new 'imaging advocates' for Australia, but only one of the photographers in the ambassador lineup is a woman. The 16 new photographers, named in addition to two current male advocates, are hosts for Sony Scene, a new community platform for Sony photographers. Sony Australia has announced 16 new 'imaging advocates' to join their existing Alpha ambassador lineup. 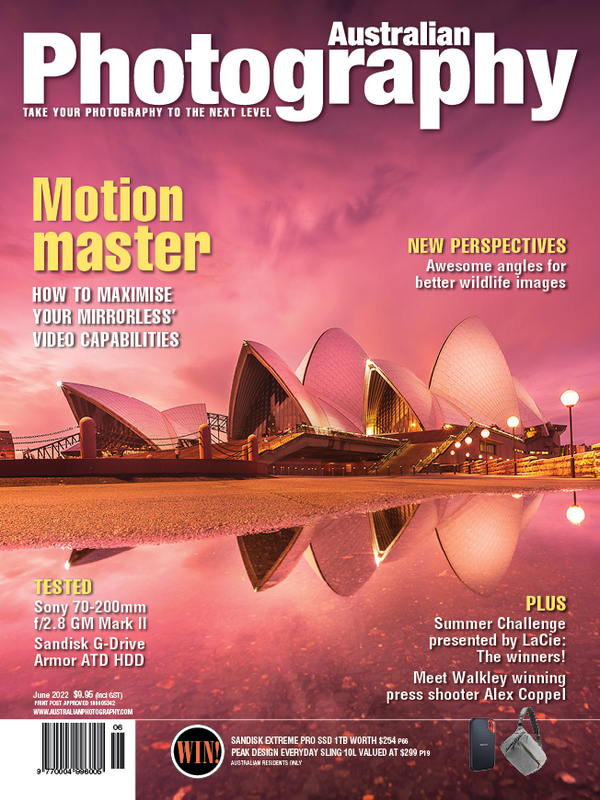 The Sony Scene website provides a platform for Sony shooters to attend a mix of free and paid events in locations around Australia and the world, hosted by the team of photographers. The 16 new ambassadors were selected following a call for applications in November 2018. In a statement, Sony said "The application for entry to become a Sony Digital Imaging Advocate was spread far and wide, inviting all Sony camera users who share a passion for photography as well as have experience in sharing this passion with their community via workshops etc." "The criteria to enter was purely based on skill and experience in photography and unfortunately, there were a limited number of females who applied for the program on this occasion. 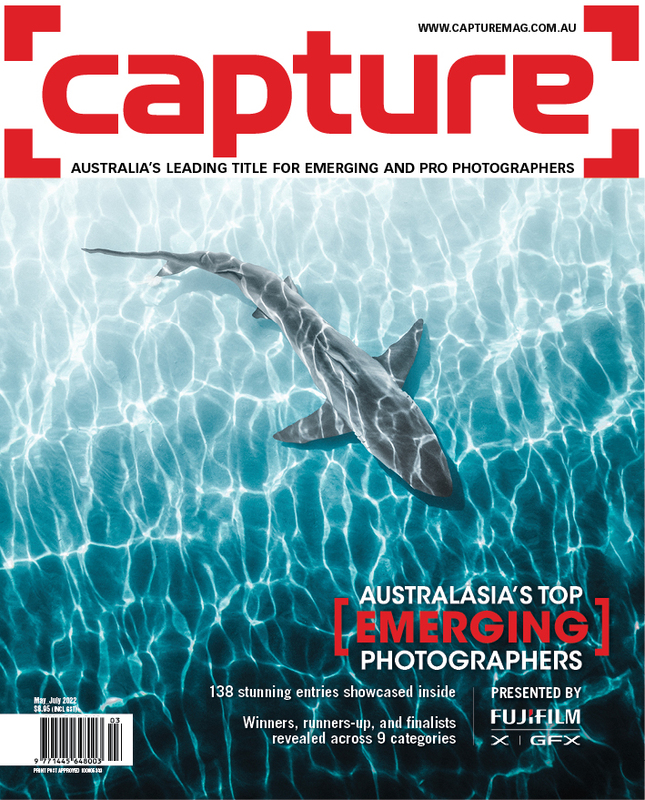 Sony Australia is fully committed to providing as many opportunities as possible to all professional photographers and, in particular, looks to grow their number of female Digital Imaging Advocates over time." The announcement is reminiscent of Nikon's naming of 32 men and no women to be advocates for the D850 DSLR last year, a move which was widely condemned throughout the photographic community.